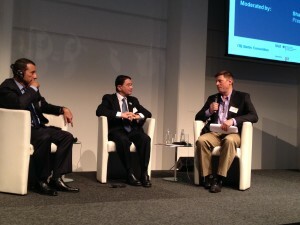 The keynote panel on the 50 year vision for responsible tourism included Ecuador’s Tourism Minister, Vinicio Alvarado (left), and UNWTO Secretary General Taleb Rifai (center). ITB Berlin is the leading trade show for the travel industry and “utilizes its key position in order to actively engage with companies in their efforts to create economically, socially, and ecologically responsible tourism products and services.” During the trade show in early March, ITB dedicated an entire day to a discussion of Corporate Social Responsibility (CSR) and invited Adventure Travel Trade Association President Shannon Stowell to be the host and moderator. 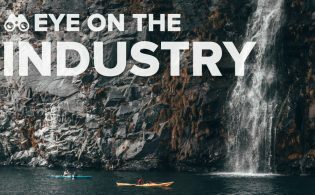 In his opening statement to the auditorium packed with industry professionals and government officials Stowell said, “Cultural and natural capital is what fuels us. It’s the oil of the tourism industry. And it’s finite. 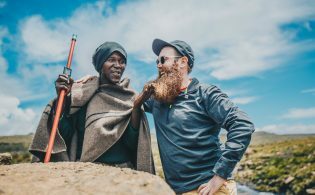 Unless we treat it right.” This set the tone for six hours of conversation surrounding what responsible tourism should look like. Secretary General Rifai said that travel isn’t just a human need, it’s a human right. His prediction for the future? “Every child, woman and man will be traveling outside their international boundaries — if there will still be international boundaries.” He mentioned that two-thirds of the world’s population needs a visa to prior to travel, which creates an unfair distribution of travel. Through an interpreter Minister Alvarado said that Ecuador is the only country in the world that gives nature rights in its constitution and that 20 percent of the country is under conservation — which is the size of the entirety of Costa Rica. 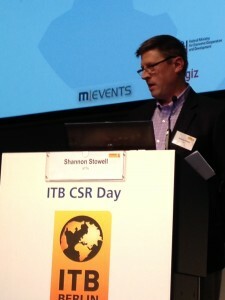 ATTA President Shannon Stowell hosted CSR Day at ITB Berlin in early March. Secretary General Rifai recognized Ecuador’s efforts to institutionalize conservation and social responsibility, but said that in addition to social codes and government regulation, we need personal resolutions and commitments to social responsibility to have a sustainable industry. The sessions before lunch focused on human rights in the tourism industry. 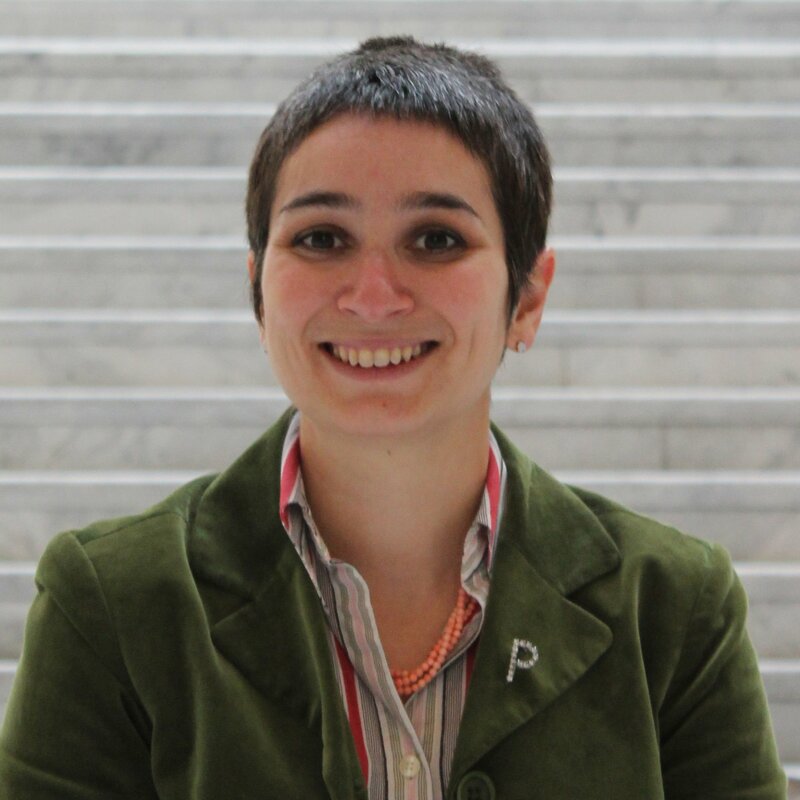 What can destinations do to make sure the proper attention is paid to human rights? Can ensuring human rights bring positive economic effects? Nicole White of the Association of British Travel Agents said that customers don’t want to think about the ethics of the company they are traveling with. A company’s blatant commitment to human rights means that customers don’t have to worry. Wolfgang Weitz of the International Labor Organization reminded the panel and the audience that the U.N. Guiding Principles on Business and Human Rights are minimum standards and that all travel companies should strive to exceed them. These panel discussions concluded with the signing of a “Commitment to Human Rights in Tourism” by ITB’s CSR coordinator Rika Jean-Francois. 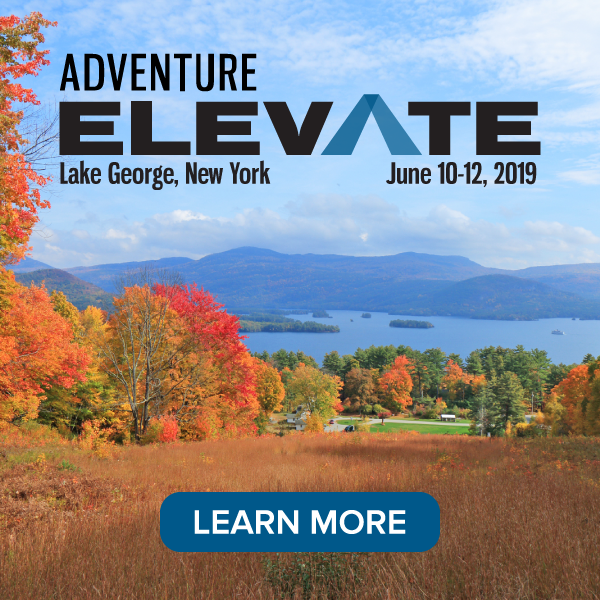 The afternoon brought discussions on green marketing for destinations and operators, where Jenny Rushmore, Director of Responsible Travel, introduced TripAdvisor’s new GreenLeaders program for accommodations. 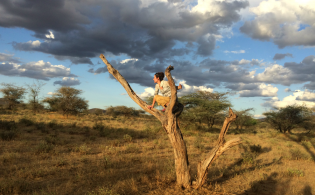 The Adventure Travel Trade Association is proud to be a part of CSR Day at ITB and looks forward to pushing ITB attendees to pursue these serious discussions, both every year at the trade show and every day as they operate on the front lines of the tourism industry.